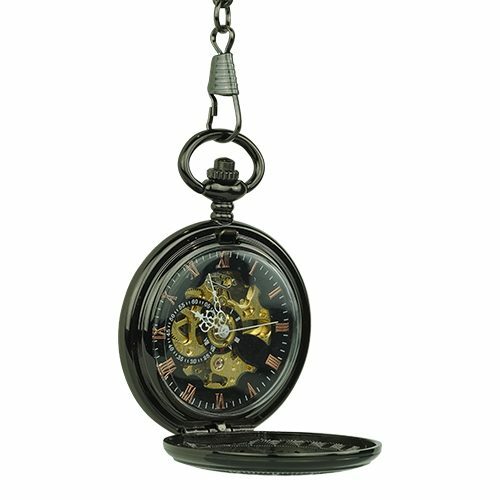 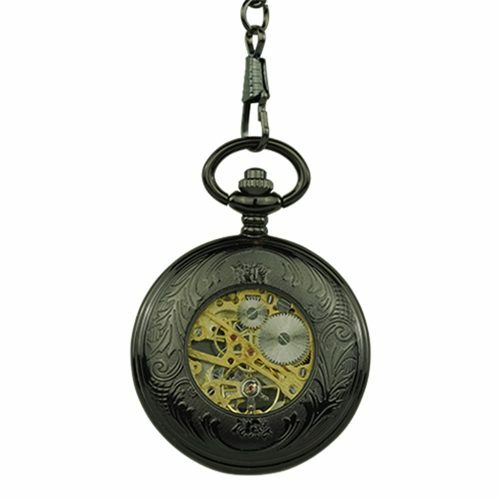 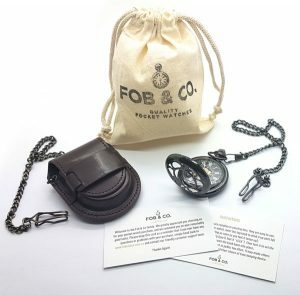 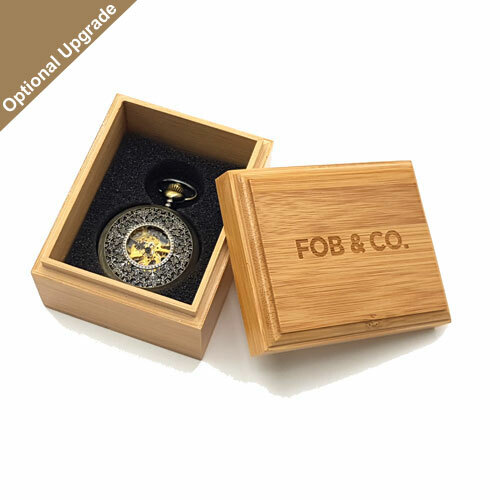 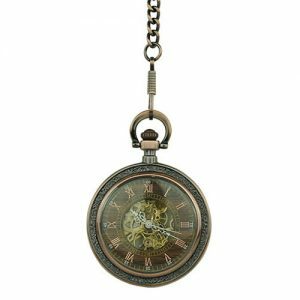 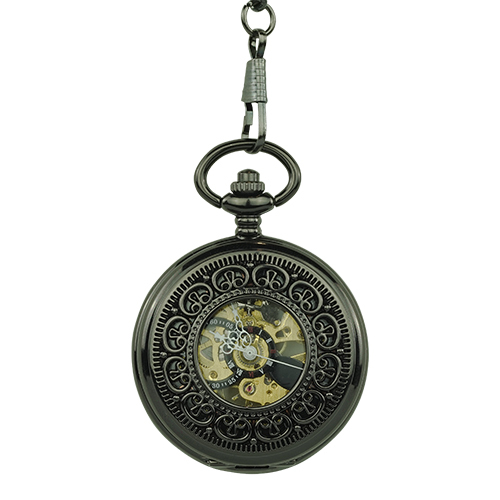 Black Rococo Trim Hunter Pocket Watch - Fob & Co.
Take me to the Greek! 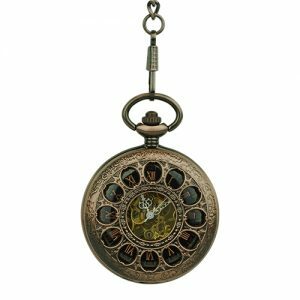 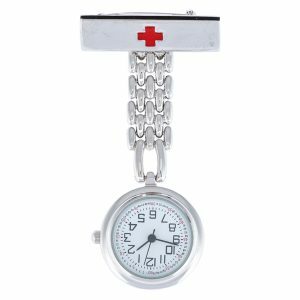 This fabulous timepiece features a beautifully crafted front cover of iconic Greek patterns surrounding a see-through window to the subdials and inner workings. 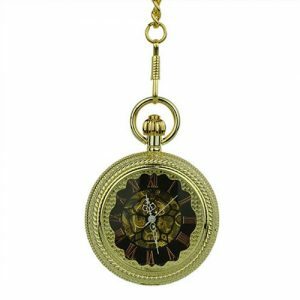 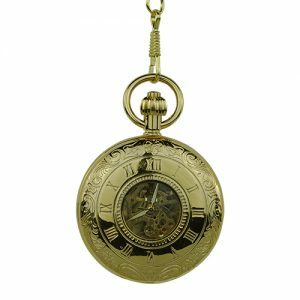 Inside you will find brass coloured Roman numerals on a black, gear styled background with a gold skeleton and subdials. 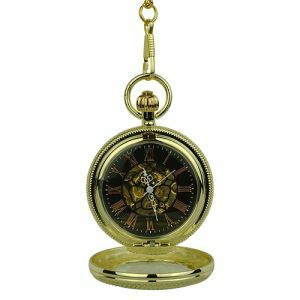 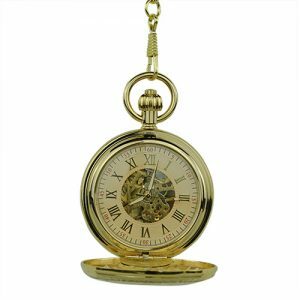 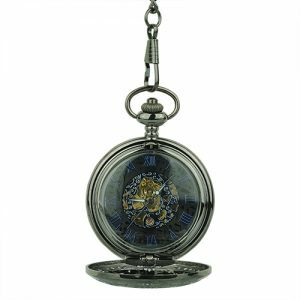 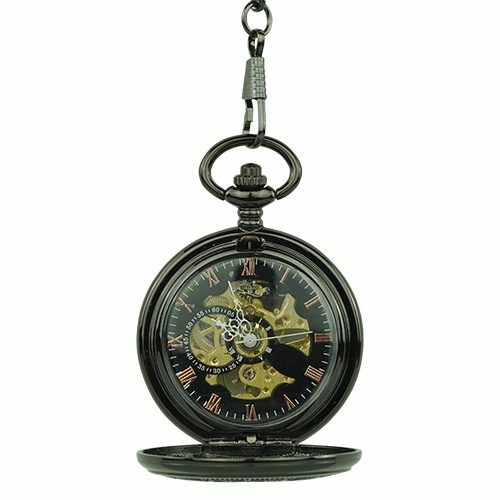 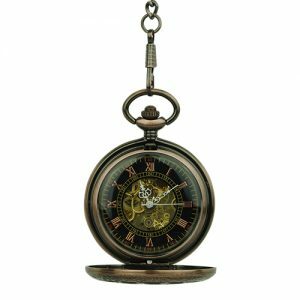 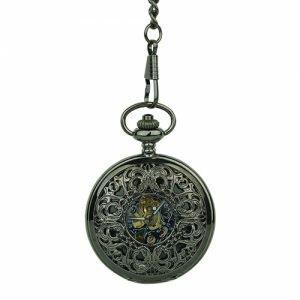 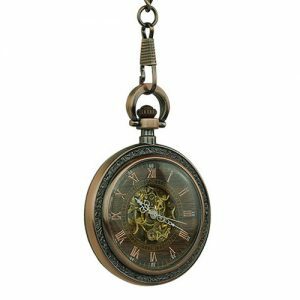 Then, turn this good-looking pocket watch over to see a flowery pattern and a small window to offer more views of the intricately wrought skeleton.